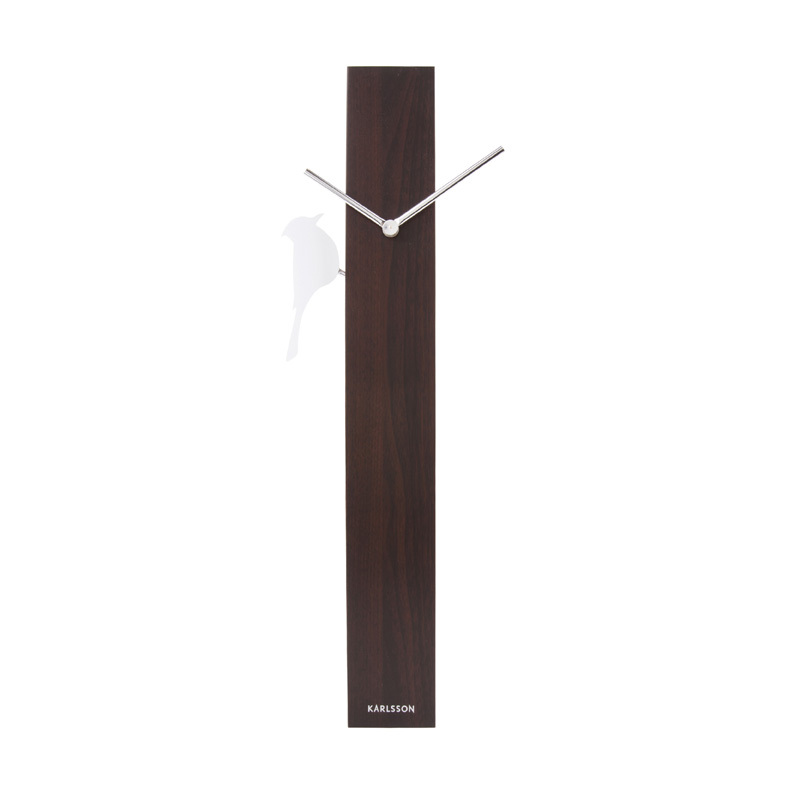 Splash out with a time piece that will get your guests talking! A delightful silhouette of a small white woodpecker perches on the side of a tall wooden clock and silently pecks away. 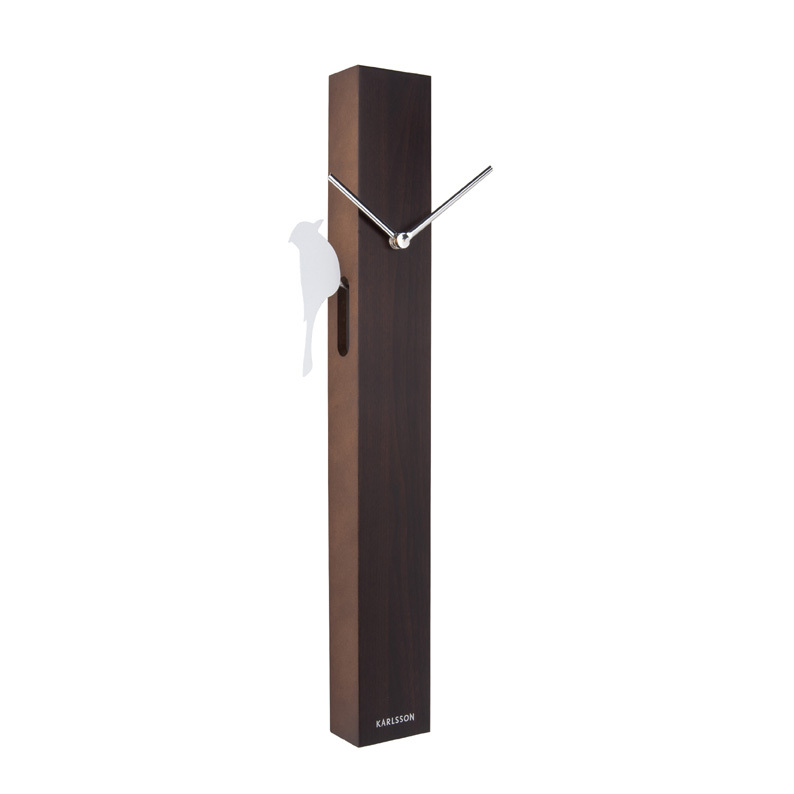 The clock is finished in rich brown earthy tones and features elegant contrasting silver hands that sweep out into open space. A very striking décor piece that brings the mood of a lush rain forest into your home. Size H60cm.